Dimensions 0.75 by 7.25 by 10.25 in. 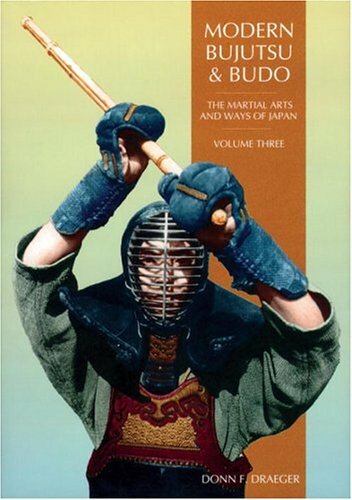 Amazon.com description: Product Description: Modern Bujitsu and Budo written by Donn Draeger with its 190 pages is one ofm the three in the series he wrote for Weatherhill back in the 1970's. Simply put if you are trying to understand Japanese martial arts and you don't have this book GET IT while it lasts. First class writing and first class publishing make this an absolute must have and must read. About: Modern Bujitsu and Budo written by Donn Draeger with its 190 pages is one ofm the three in the series he wrote for Weatherhill back in the 1970's.